Do not be distressed if you cannot read Greek as day-old English newspapers are commonly available from various newsstands in Kos. Opening hours: Shops here open from 8.00 am - 2.30 pm. It closes for siesta and re-opens again from 5.30 pm -8.30 pm from Monday to Saturday. Many shops are closed on Sunday, but it depends which season and where on the island you are visiting. There are exceptions noted in specific listings. 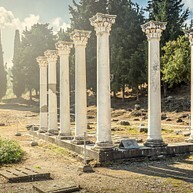 One notable archaeological site, where magnificent Roman ruins can be found, is The Western Excavation. Amidst the monuments of the 4th and 3rd century B.C. in this area, you will find the important remains of the ancient gymnastic ground called Xystos and the western public baths. The Roman Odeon amphitheatre is also close to this place. 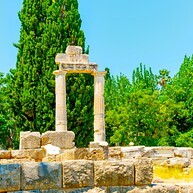 In ancient Greece an asclepeion was a healing temple, sacred to the god Asclepius. According to ancient Greek mythology Asclepius was the god of medicine and healing. Asklepieion is considered an important site on the island of Kos. A legend says that Hippocrates received his training there. It is also settled on the top of a hill and it lets you enjoy a panoramic view of Kos Town. Wine tasting is a traditional tourist activity that you must try when in Kos. Upon visiting vineyards, you will discover how the Greeks make their wines. The three must visit wine productions on the island are Chantziemmanouil, Mores and Triantafyllopoulos. Casa Romana, also referred to as the Roman House, is a beautifully decorated mansion which was built out of the ruins of another house during the Hellenistic period. It has an impressive appearance that is based on the 3rd century type of architecture. 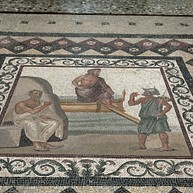 Along with its interesting ornaments and statues, you can find that on its mosaic floor, there is a depiction of a panther tearing a deer apart. 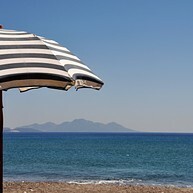 Nisyros is a famous tourist island located in the Aegean Sea. According to mythology, during the period of the Gigantomachy (war of the Giants) Poseidon (the god of the sea) plucked a rock from Kos and in anger threw it at the giant Polyvotis with the intention of killing him. This rock, which crushed the giant, became Nisyros, and the half-dead giant shakes the earth every now and then with his groans, thus awakening the volcano. The sight of it is quite impressive and a truly must visit for everyone. Agios Theologos is one of the beautiful beaches on Kos. It owes its name to a nearby church of St.John the Theologian It is also referred to as Wave Beach and it is a great place for water surfing or flying a kite. During afternoons, when it is not too hot, you may walk around the area to view other charming sights. Hippocrates Garden Cultural Centre was built to portray the ancient way of life of the Greeks through their culture and history. 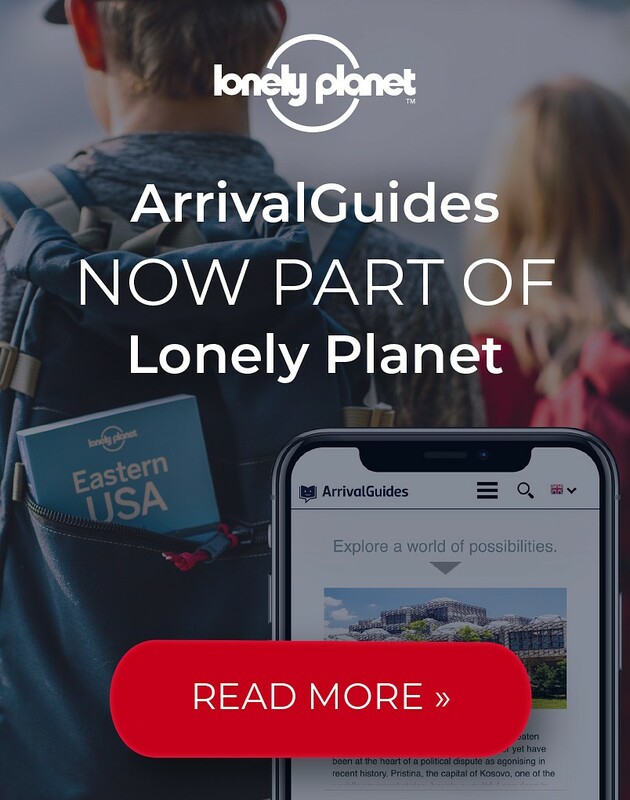 Every year, hundreds of children and tourists visit this place. The settlement is a two-storey house that is made of stone. Inside it, you can find handmade furniture and some artefacts. When wanting to go on a picnic, let Plaka Forest be on top of your list. This place is a familiar destination, for both residents and tourists, during Easter and summertime. 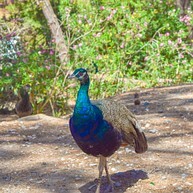 The sight of the imperious wild peacocks and the reinvigorating serenity of nature will surely calm your mind. 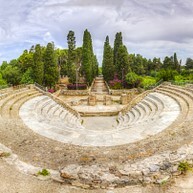 The Roman Odeon is an ancient open-air theatre that you should explore during your visit in Kos. It is a living fragment of history portraying the sight of the 2nd and 3rd centuries. Today, its floor, wings, and orchestra pit are still in very good condition. Seeing the place would bring you to thoughts that its purpose was to host music and fight competitions in the early years. Besides going to the beach during summer, Lido Waterpark is a great hangout for family and friends in Kos. They do not only have huge, inviting pools and exciting slides but the cost of their facilities are also very reasonable. It will definitely be an awesome day out for everyone. 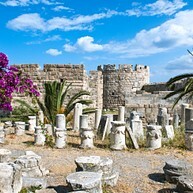 Famous Greek monuments and splendid artworks from different historical periods are exhibited at The Archaeological Museum of Kos. 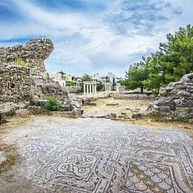 The most extraordinary displays here include beautiful mosaics, statues from the ancient site of Asklepeion, an extensive collection of prehistoric pottery and metallic objects, exhibits from a tomb of a young athlete dating back to the 3rd century B.C, coins, anaglyphs with various representations and many other items. 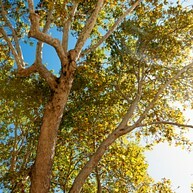 One known tourist attraction in Kos is the oriental plane tree called the Tree of Hippocrates. This perennial plant is regarded as the largest in Europe. According to the mythology this is where the said Greek physician mentored his students about medicine. 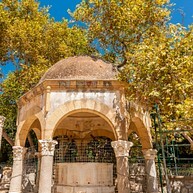 The Dolphin Fountain is a popular tourist spot on Kos. It is situated on a small square along the harbour. This place is often noted as the Dolphin Square. It is best to tour here during early mornings and late afternoons. 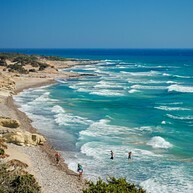 Xerokambos or also called "Exotic Beach" is a beautiful beach in Kos that you should not fail to visit. It is one of the most peaceful beaches on the island. This place is actually a part of the long beach of Kefalos Bay. Its great water sports and nice view should provide you a tranquil feeling.